Commissioned by Rama II, who ordered that all the earth dug out to expand the khlong network to be piled up to build a 500m wide, 100m chedi (stupa) however, the project had to be abandoned because the soil beneath was too soft to withstand the weight. Instead, a mountain with trees was crowned with a small cheid on top. The entrance is a bit creepy - with plastic animals and stuff conveying a tourist trap feeling, but once you climb the 344 steps, the views are worth it. I love the contrast of seeing huge skyscrapers on one side and traditional houses along the canal on the other. A minute away from Golden Mount awaits one of the coolest sights in Bangkok, the last community of artisans making alms bowls in the traditional way, covered in detail here in a separate post. 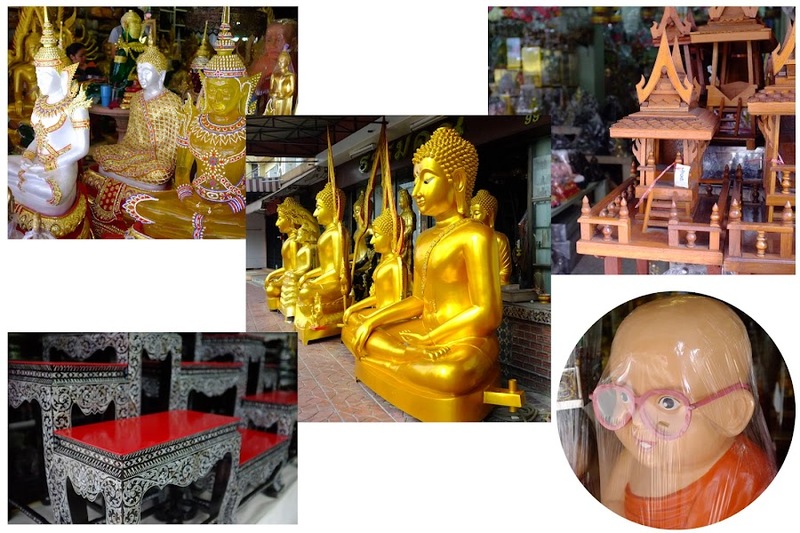 With 95% of practising buddhist, Thailand is one of the most religious countries on Earth. There are plenty of public temples, private temples, spirit houses and amulets, do you ever wonder where all the statues and decorations come from? Actually here! In this little street packed with religious shops we find the workshops that supply instruments to cultivate faith all over Thailand. 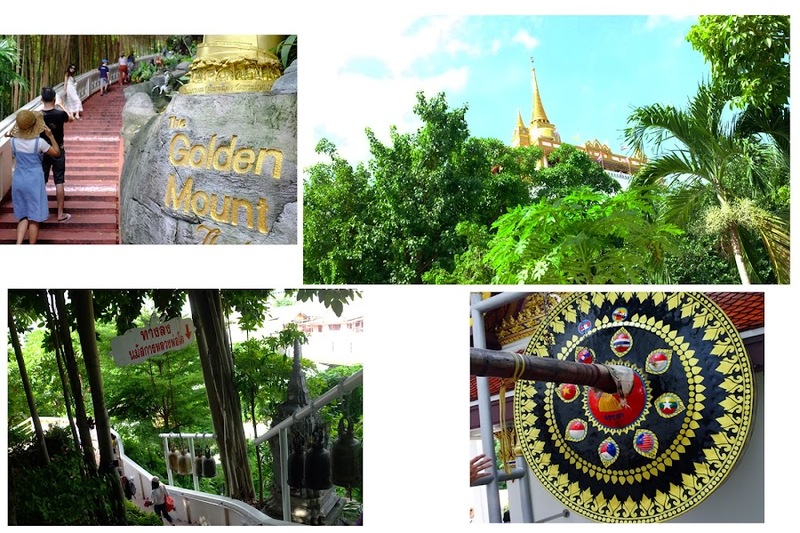 You cannot miss Wat Suthat due to the giant red swing (used for buddhist rituals) placed in front of its entrance. Being one of the 10 Royal Temples in Thailand i.e. of highest grade makes it a worthwhile visit, also because it seems to be off-the-beaten track so you get that peaceful feeling that should accompany you during a temple visit. The 8m tall Buddha is Thailand's largest surviving bronze statue Sukhothai period. Jataka murals decorate the surrounding, depicting Buddha's past lives. 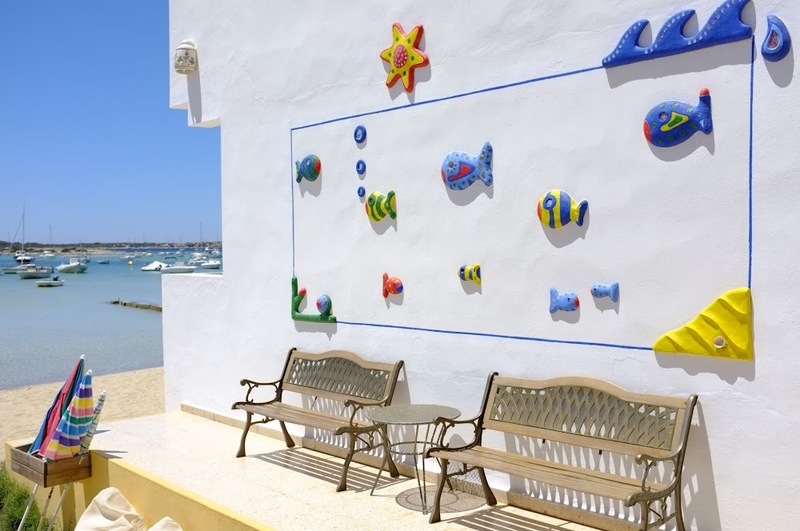 Interestingly some western elements (like a standing clock) also make appearance. The ordination hall is packed with monks, so it is quite cool to hear the prayer sounds in the distance. Full visit here. With 75 cannonballs to signify year 1932 in buddhist calendar (2475), 24m tall wings to signify 24th and a 3m tall central plinth to signify June (3rd month in buddhist calendar) the monument stands glorious in a wide European style boulevard, to commemorate Thailand's transition from an absolute into a constitutional monarchy. With a design deriving from metal temples in India and Sri Lanka, the striking feature of this temple are its 37 golden spires which are said to represent the 37 virtues that lead to enlightment. With an interior relatively unadorned, this temple from the 1840s reminds of Angkor style interiors, with various symmetric galleries and hallways. 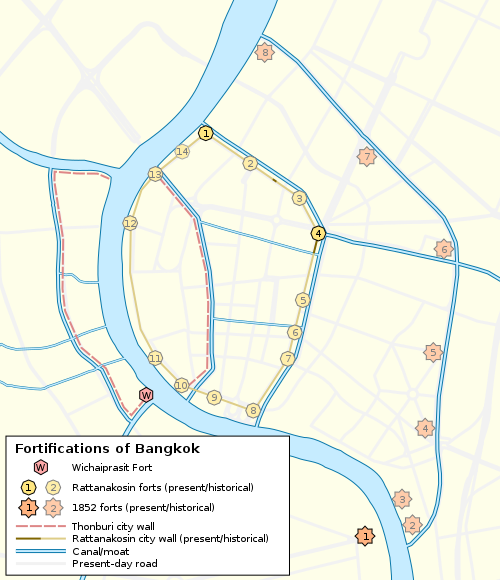 Shown as number 4 in the map below, this is one of the two surviving citadels in Bangkok, this octagonal fort is a picturesque quick visit that makes it also possible to glance at a traditional community that lives along the canal. 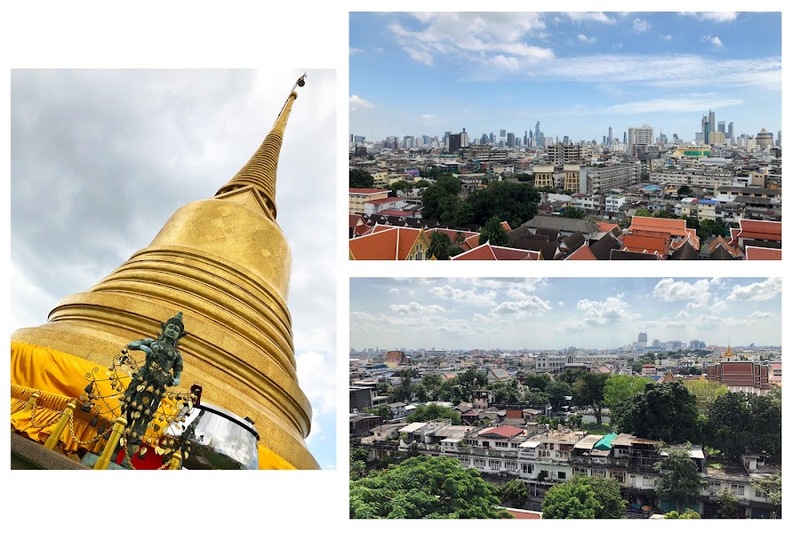 The fort originates from the Rattanakosin period meaning it used to define the limit of Rattanakosin, the city that led to modern day Bangkok. The story behind the map below is explained in detail here. Thonburi was the city picked by Taksin as capital of Siam (1767-1782). 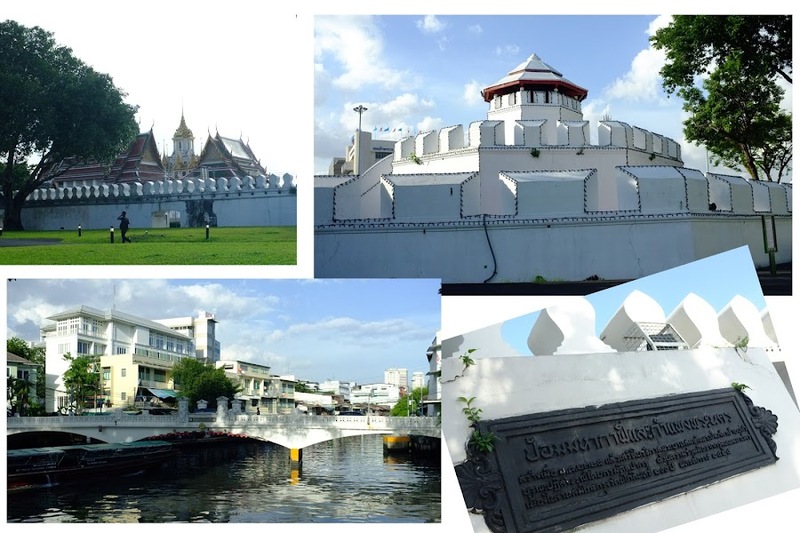 Once Chao Phraya took him down, the capital was moved to the other side of the river (and so were the walls! ).